Here are a few examples of people who travelled along the Silk Road prior to the year 1000 AD (CE). Most, but not all, of them are individuals who wrote about their journey and whose texts are considered to contain valuable historical and cultural information about the Silk Road. King Mu of Zhou was the fifth king of China’s Zhou dynasty, and he ruled either from 976 to 922 BC, or from 956 to 918 BC (sources vary). He travelled to places such as the Tarim Basin, the Pamir Mountains and what we today know as Iran. When he returned to his kingdom, he did so on the southern Silk Road. The Chinese General Zhang first travelled the Silk Road in 138-125 BC, as an envoy of the Han Emperor Wudi. 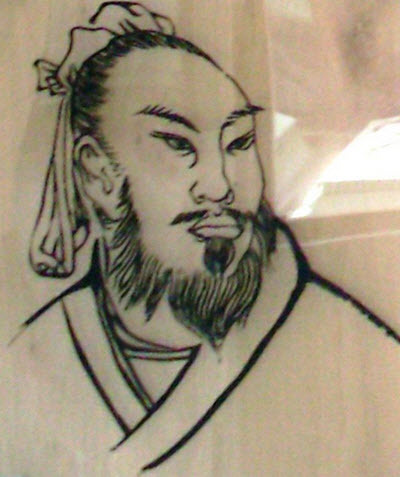 Wudi tasked Zhang with the job of recruiting the Yueh-chic people to an alliance against the Xiongnu. During his journey to reach he Yueh-chic, Zhang took the Northern Silk Road, skirting the Taklamakan desert and passing Pamir, before getting to Ferhana. Afterwards, he used the southern Silk Road to return to China. General Zhang’s second trip on the Silk Road took place in 119-115 BC, when he was sent out to seek an alliance with the Wu-sun people. He travelled through places such ad Dunhuang, Loulan, and Kucha, before reaching the Wu-sun capital on the River Ili. General Zhang’s journeys didn’t just have political impacts; they also helped open up China to trade with the west, especially Persia. At some point in 40-70 AD, a Greco-Roman merchant handbook was published containing plenty of information about trade routes involving East Africa, the Red Sea, and Asia as far east as India. It is focused on sea travelling, but would still be useful to many seeking to travel the Silk Road since it contains information about notable ports and trading hubs that tapped into to the same network. In these days, many merchants bringing eastern goods to the west and vice versa combined sea travel with land travel to find the best routes for their purposes. This book was called “Περίπλους τῆς Ἐρυθράς Θαλάσσης” in Greek and “Periplus Maris Erythraei” in Latin, which means periplus of the Eritrean Sea. To the Ancient Greeks, the term Eritrean Sea included both the Red Sea, the Persian Gulf and the Indian Ocean. A periplus is a manuscript document that lists the ports and coastal landmarks, in order and with approximate intervening distances, that a captain of a vessel can expect to find along a shore. We don’t know who the author of this periplus was, and it is possible that the author compiled information from other travellers with extensive first-hand knowledge of the various areas rather than acutally doing all the travelling themselves. The manuscript was written in Koine Greek and it describes not just navigation but also trading opportunties along the Red Sea coast, the Horn of Africa, Pakistan’s Sindh region, and southwestern India. It is one of the prime examples of how much the Ancients of southern Europe knew about the lands around the Indian Ocean. Most scholars agree that it was compiled around the middle of the 1st century AD, but some have suggested second or third century AD instead. This was the first Chinese envoy to the Roman Empire (known to the Chinese as Ta-Ts’in). Gan Ying was sent on this diplomatic mission by the powerful General Ban Chao, who was himself a well-travelled man with notable Silk Road experience. In the year 97 AD, Gan Ying travelled through the Pamir Mountains and Parthia, and all the way to what he called the Western Sea, which would have been either the Black Sea or the Parthian coast of the Persian Gulf. There, he was dissuaded from continuing westward by sailors who claimed that the journey by sea would take up to two years. This ment that he actally never reached Rome, but he still went further west than any other official Chinese envoy had gone before him. Fa-hsien was a Chinese Buddhist monk who travelled to India to learn more about the religion. He took the southern Silk Road, going through places such as Shensen, Dunhuang, and Khotan, before traversing the Himalayas to get to Gandhara, Peshawur and finally India. Fa-shien walked most of the time on his way to India, but on his way back to China he travelled by ship. 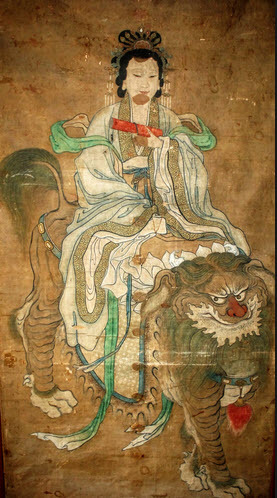 In 518, the Chinese Empress Dowager sent a monk named Huisheng to India to obtain Buddhist scriptures for her. 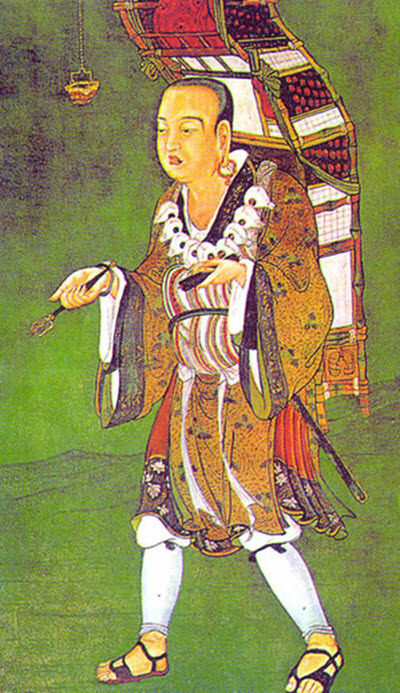 Accompanying the monk was Sung Yun of Dunhuang. The two men travelled through the Taklamakan Desert via the southern Silk Route, going though Shanshan, Charkhlik and Khotan, before reaching Hindu Kush, Kabul and Peshawar. The notes from their travels includes information about a visit to the kingdom of the Hephthalites. This was a Chinese Buddhist monk and translator who travelled from China to India on the northern Silk Road, and then back home again on the southern route. He started in the year 629 and didn’t return to China until 645. Example of places that he passed through on his way to India are Turfan, Kucha, Tashkent, Samarakand, Bactria, and Hindu Kush. Over time, the accounts of Hsuan-tsang’s travels grew into legends, which in turn inspired several novels and plays much later in history. The 16th century novel “Journey to the West” by Wu Ch’eng-en is one example. Hwi Chao was Korean Buddhist monk that grew up in China. In the early 8th century, he travelled by sea to India. He stayed abroad for several years, visiting Buddhist centers in India, Afghanistan and Persia. When it was time to go back to China, he went by land, passing through places such as Kashmir, Kabul and the Pamir Mountains. He entered Xinjiang from Tashkurgan, before skirting around the Taklamakan Desert. Hwi Chao’s text “Wang wou t’ien tchou kquo tch’ouan” includes information about both Buddhist and Islamic populations living in Central Asia during this time period. Regretably, the original text disappeared at some point during the Tang Dynasty. In 1908, French explorer Paul Pelliot discovered an incomplete copy (approximately 6,000 words) of the book in a Dunhuang cave. At the Battle of Talas in 751, the Arabs captured a Chinese soldier named Du Hwai and placed him in a prison camp. After ten years as a prisoner of war, Du Hwai travelled to Tashkent, Samarkand, Iran, Iraq, and Syria. In a port on the Persian Gulf, he boarded a ship and returned to China by sea. He wrote a book about his experiences and it contains a lot of information about life in Central Asia. When Samarkand’s ambassador to China travelled home in 750, he was accompanied by a Chinese delegation that included a man named Wukong. In Samarkand, Wukong fell ill and could therefore not make the journey back to China when the rest of the delegation left. He eventually recovered, but instead of heading for China he became a Buddhist monk and lived in Gandhara and Kashmir. When he finally set foot in China again, it was in the year 790. Tamim ibn Bahr was a Muslim traveller and author who visited the Uyghur captial, located on the Orkhon River in present-day Mongolia. His exact origin remains a bit unclear, but he was probably from Khorasan. Regretably, his full travel manuscript has been lost, but an abridged version has survived into our time. The Abbasid Caliph sent Ahmad ibn Fadlan as ambassador to the Bulgars, a people inhabitig the middle Volga River area. To get there from Badhdad, the ambassador travelled through the Samanid state and Khwarezm, before continuing to the north of the Caspian Sea. His writings about the experience includes, among other things, observations from a Viking (Rus) funeral by the River Volga.